The black and silver satin anodized aluminum and steel TLB-1 Leveling Base with 3/8"-16 Mounting Stud from Kirk Enterprises attaches to a tripod via its 3/8"-16 mounting socket. This leveling base has an adjustment range of 32°, which is +/-17° in any direction. You can lock the position into place with the over-sized locking wing nut, and the leveler is capable of supporting a load capacity of 25 lb. 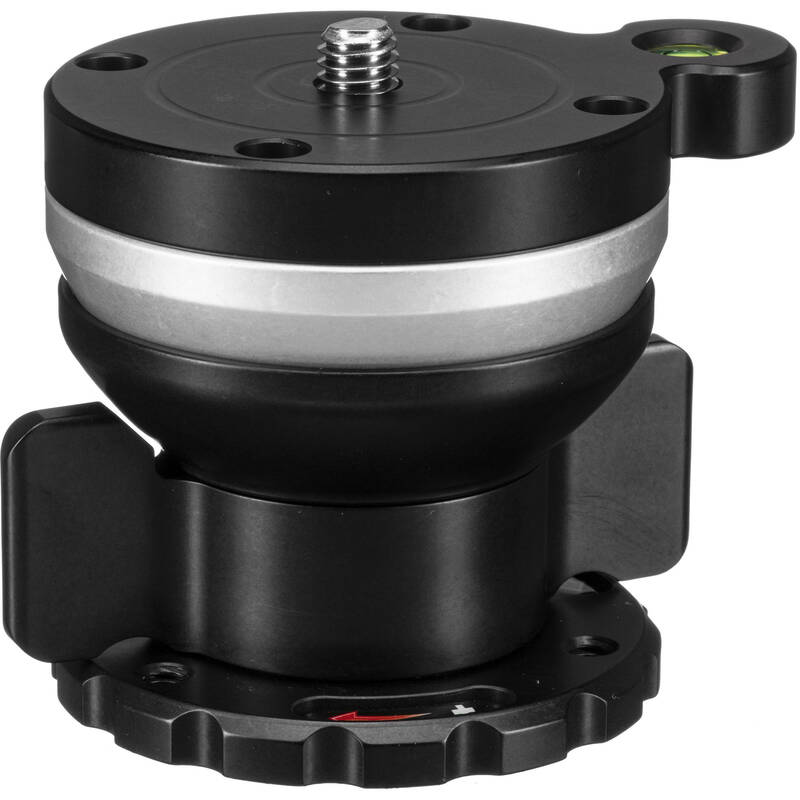 This leveler provides a 3/8"-16 mounting stud, allowing a compatible tripod head to be used for your photographic application. Box Dimensions (LxWxH) 6.7 x 5.45 x 4.55"